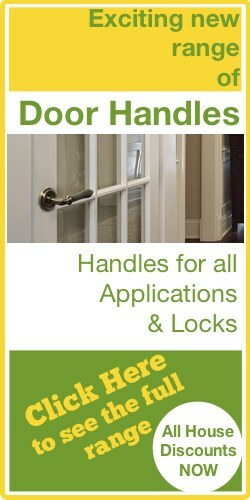 CL100 series locks offer excellent value for money. Delivered with random, unrecorded codes, simply change the code by following the clear instructions provided. Installation couldn't be simpler either - just drill one hole for the spindle, two holes for the fixing bolts and one extra if a mortice latch is required. 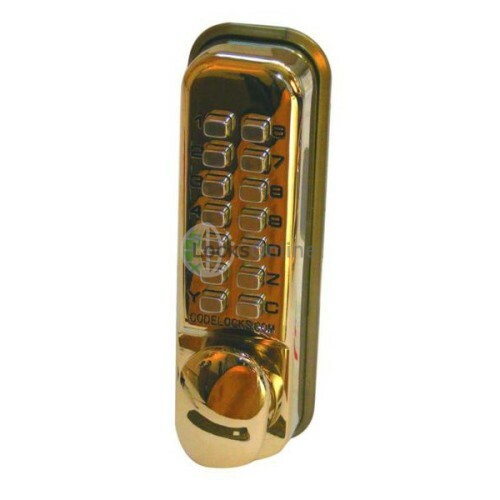 This entry level mechanical push button lock provides a comprehensive range of functions for light duty entry control, for inner office doors, storage rooms or cupboards in commercial premises, sheds, garage-to-house doors or cupboards at home. Hi, guys. My name is Darrel. 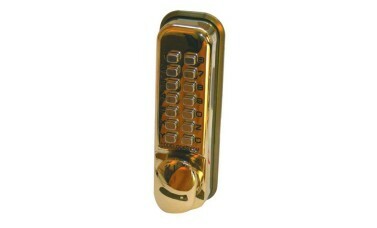 I'm head of the tech team here at LocksOnline.co.uk, and thanks for taking the time to tune into one of our videos, one of our product review videos, and more importantly, the product we're going to have a look at today and hopefully give you a little bit more information, is the Codelock 100 Series Combination Lock. Now, this is the baby of the Codelock range. It's designed for low usage, low domestic sort of usage. If you are looking at high industrial areas or commercially graded areas, perhaps, to be honest with you, this may be a little bit on the domestic side for that. But needless to say, if you are going to place this low usage, you just want to restrict it, like a store room or something like that where the traffic is very limited, where two or three times a day, then this might be the combination lock for you. So let's get it out of the box and let's exactly see what you do have from inside. So let's open it up here. So of course, you get the code because you need to know the code, the first code it comes with. It comes with some fixings and so forth. I'll go through all of those in a little bit more detail in a little bit later. 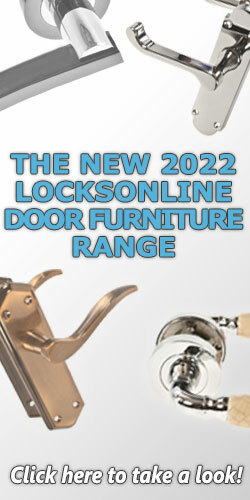 It also comes with a tubular latch and a striking plate and I'll go through that in a little more detail. Here's the back plate sitting there. We've got two plates that you would use if you're thinking of fitting it outside. I mean, bear in mind if you are going to fit it outside, either keep it in a sheltered area and keep it well maintained and well lubricated. And then here's the actual combination chamber here. So I'll go through all of these step by step. You might be familiar with this particular type of combination chamber. 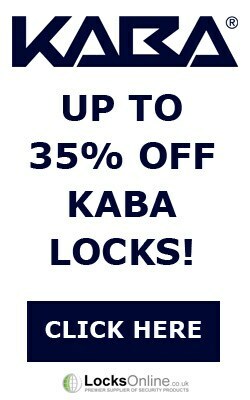 It's quite a popular way of combination locks. 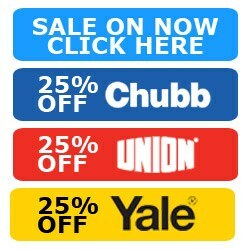 But there are loads of different manufacturers and it's important to consider, if you're thinking of buying one, I would always strongly recommend you look at what manufacturer you're thinking of buying from. Now Codelock being around for some time, they're one of the four forefathers of this particular design etc., so you're buying a pedigree combination lock if you're thinking of purchasing Codelock. So I personally like Codelock as a manufacturer, and they've got fantastic customer support as well. And I've been using them, we as an installing company as well, been using them for a considerable amount of years. Sometimes you get a glitch, now and again. Guys get on the phone to them and they're there and they're giving you spare parts and loads of advice. So sometimes it's not always about the price. It's about the service and the backup and so forth that you will get after or if was to go wrong where you're not 100% sure. So, you know, top company, Codelock. Now, on the back here, you will see, I don't know if you can actually zoom in there, because one thing that you may see here is that you've got all of these buttons all these holes that sit here and these are the back of the buttons. And I don't know if you can zoom in close enough, but you may see blue ones and you may see red ones. Can you get that? Just the red, okay there. No problem at all. But there's blue there and I'll go through some spares and I'll show you a little bit later on. But if you want to change the code, the blue ones are not the code and the red ones are the code. So what you will do is you will take that plate off there, you press the C button and you use the tweezers that come here in this bag, and you can pull out the pins and pop them in, whichever code that you want. So if you wanted 1-2-3-4, you'd put all of them in blue and put the red then in the one, and the two, and the three, and the four, and that's it. The code is now 1-2-3-4. All of these combination locks, to just let you be aware, they all start with a C. And the C is the button down here. And the reason why is because if somebody's tried pressing in the number, and then you go to press your number in, it's not going to work. So the C clears the combination chamber, ready for you to enter your code. So always your number will start with C, and if you see on this particular one here, the manufacturer's code that is supplied with it, it starts with a C, and that's the reason why you always have a C in the code. Now, the backing plate here, as you can see on this one, this has the hold back facility. And if you can actually zoom in there for us, it's in behind the handle here if I push that down there. There's a hold back facility, and that allows you then to hold back the latch. So if the door, you want free access, you'll need to get in and out all the time, then this hold back facility will keep the latch back and allow the door to be free access. So that's another fantastic selling point, unique selling point on this particular range. Let's have a look at tubular and latch and a little bit more information, and I can give you a little bit more information on its security as well. Now as standard, the back set from here to here to the centre is 60 mil. There's a bit of an industry standard that these are 60 millimetres. But what's more important as well is on the front here, is that you see that there's a little striking plate, a little latch that sits in behind there. The idea of that is that when the door is closed into position, the keep that is situated into the frame pushes that back and when that's pushed back, this deadlocks, which means that, you know, if you slip a credit card in between the door and the frame, and that will open the latch, etc., well, that's designed to stop that. So that means if somebody tried to slip something in there, it isn't going to open. It means your lock is deadlocked. So another key important thing, and I wanted to explain this while I got this here with you, is these pins because they're quite important. If you notice here — I don't know if you can zoom into those there for us, Lee — one is red, which is on my right, and the blue one is on the left. And if you notice here, there's little square cutouts there and there's little square cutouts there. When you're changing the code, those square cutouts always point to the outside of the lock, okay, so it's very important. So if I was changing the code in the back here, and I was wanting to pop this one in its place, that pink piece there needs to sit to the outside. They sit on the outside. And of course, if I put it on this side, I would need to turn it around so then that sticks on the outside. So that's quite important that you keep those on the outside. There's little squares there, I don't know if you really get that square in there on the video. It's there anyway. It's just a top tip. It's in the instructions, anyway. But sometimes people are looking at how to change the code on these particular combination locks and that is how you would do it. You just undo those two screws, take that off, press the C button, use the tweezers like that and you would pull out and you would swap them all around, and then just bear in mind that those little square cutouts need to be sitting to the outside. So there you go, guys. I don't think there is much more I can say about this. Of course they're available from us. We'd love to see you as a customer. And hopefully this video has given you a little bit more insight into, A, the pedigree of a Codelock product, and, B, as to whether or not this particular product is suitable for you. Just for your information as well, these here are plates that can actually sit behind here, which can act, if they are on an external, it will help to stop the water or draining in behind. And of course, it's a little bit more finished as well in regards to how it sits on the door. So that's what those are for there. So there you go, from me, Darrel, and the LocksOnline tech team, thank you very much for taking the time to have a look at our video. But if you need anymore information or advice, there's an email, phone, use our live chat on our website. We'd love to talk to you. More importantly, we'd love to see you as a customer. So from me, take care. Thank you very much. Bye-bye.